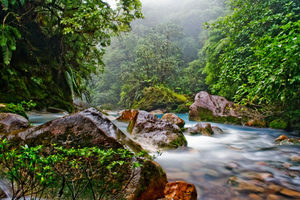 Wall mural decor of the Andes Jungle in paper, wallpaper or laminated. Enjoy our popular photo wall murals exclusively from Swiftmaps.com. We have teamed up with some of the best photographers in our great land to create many of the most breathtaking murals available in the industry. This impressive wall mural comes in three different sizes so we can best meet your decor planning. We are also proud to announce that all our wall murals are now available in three different formats: paper, wallpaper and laminated. Don’t forget that we can now create custom wall murals and wall borders of your favorite photos and art too!! It’s as easy as email, print and ship! Why not display your own personal work on art on the wall? The possibilities are endless… ask us how.